Bringing together four martial arts folk heroes in a time-travel adventure: it’s an idea both far-fetched and obvious – an oxymoron that Jeff Lau embodies film after film. 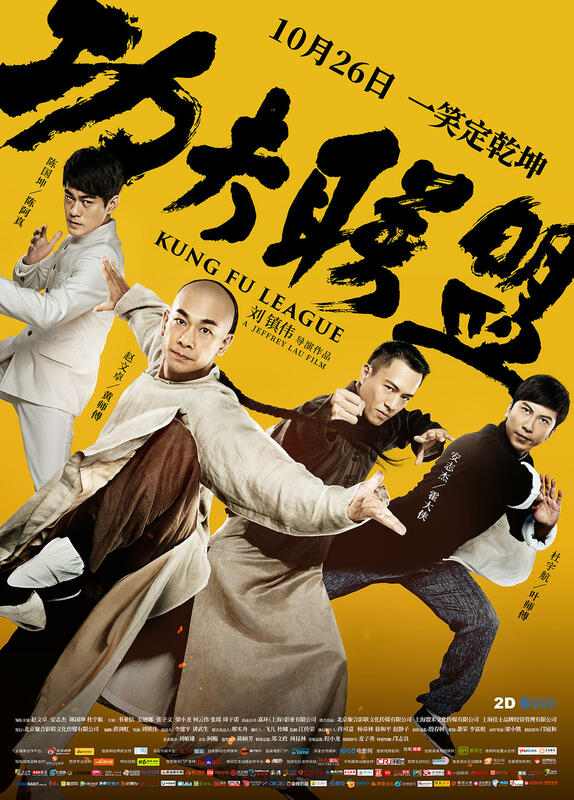 And so Kung Fu League unites Wong Fei Hung (no introduction needed), Huo Yuan Jia (most notably portrayed by Jet Li in Ronny Yu’s Fearless), his most famous student Chen Zhen (who really existed but was given a fictional heroic fate in Lo Wei’s Fist of Fury) and Ip Man (no introduction needed either, not even a discreet wikipedia link). It doesn’t matter that these grandmasters are played by their respective ‘Plan B’ actors (Vincent Zhao instead of Jet Li, Dennis To instead of Donnie Yen, Chan Kwok Kwan instead of Bruce Lee…): the curiosity remains strong. 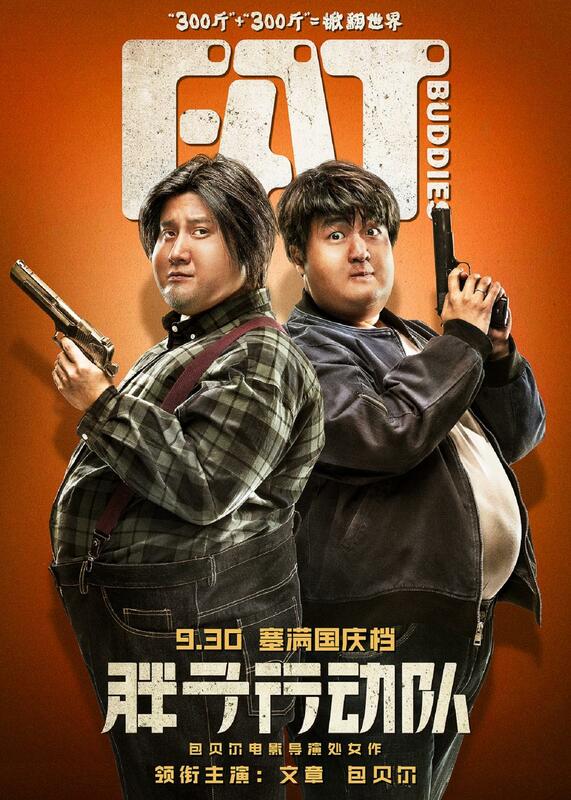 After starring in Wen Zhang’s directing debut, the passable romantic comedy When Larry met Mary, Bao Bei’er co-stars with Wen in his own directing debut, Fat Buddies, which – much like the former film – did solid but unremarkable business at the Chinese box-office. Coincidentally, it is one of two Japan-set fatsuit action comedies produced the same year in China, the other being Donnie Yen and Wong Jing’s Enter the Fat Dragon. Bao plays Hao Jingyun (an amusing game on words that sounds like he’s saying “Hello, handsome” every time he states his name to someone), a security guard at a Tokyo hospital who, having been obese most of his life, has learned to roll with the constant jokes about his weight, and at least has the love of his unfathomably attractive wife (Clara Lee). One day, Hao meets someone even fatter: J (Wen Zhang), a 150 kg reluctant patient of the hospital who says he’s on a mission to stop a drug kingpin masquerading as a philanthropist (Guo Jingfei). Sensing a kinship, Hao decides to follow J on his mission, despite the latter’s insistence on going it alone. It’s been a brutal year for Chinese fantasy on the big screen. Soi Cheang’s The Monkey King 3 underperformed compared to the previous installments in the franchise, Hasi Chaolu’s fantasy take on Genghis Khan went unnoticed despite a starry cast and Jean-Jacques Annaud’s artistic input, Zhang Peng’s Asura was retrieved from theaters a mere three days after opening to dismal box-office numbers, and now Renny Harlin’s Legend of the Ancient Sword has failed to even reach the 2 million-dollar mark, despite a prime launching date during Chinese national holidays. This puts extra pressure on Wuershan’s now-shooting fantasy trilogy Gods, a massive undertaking whose commercial potential isn’t being solidified at the moment. 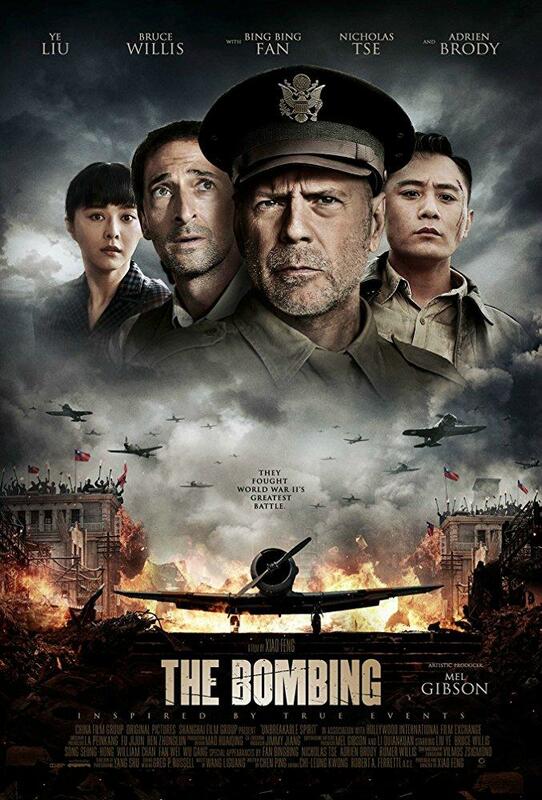 Xiao Feng’s The Bombing was reportedly the most expensive Chinese film at the time it was produced. But after extensive reshoots and accusations of financial fraud (part of a wider tax evasion scandal in China that has had Fan Bingbing as its official face), the film is now being released a full three years after production, without much fanfare despite a massive cast and the participation of Mel Gibson – a man who knows a thing or two about making a fine war film – as an artistic consultant. Set in 1939 during the second Sino-Japanese war, it weaves together three main storylines: U.S Air Force commander Jack Johnson (Bruce Willis), who trains Chinese pilots Lei Tao (Nicholas Tse), An Minxun (Song Seung-heon), Cheng Ting (William Chan) and many others to fend off Japanese air raids (of which there were 268 between 1938 and 1943); civilians in Chongqing trying to live a semblance of a life despite the repeated bombings, with a Mahjong competition being organized in a teahouse owned by Uncle Cui (Fan Wei); and former pilot Xue Gangtou (Liu Ye), tasked with taking a truck carrying precious and mysterious crates to a military base, and who on the way picks up a scientist (Wu Gang) carrying two pigs of a leaner, faster-reproducing breed that may be key in fighting the famine, a nurse (Ma Su) bringing orphans to a school, as well as a shady stranger (Geng Le). 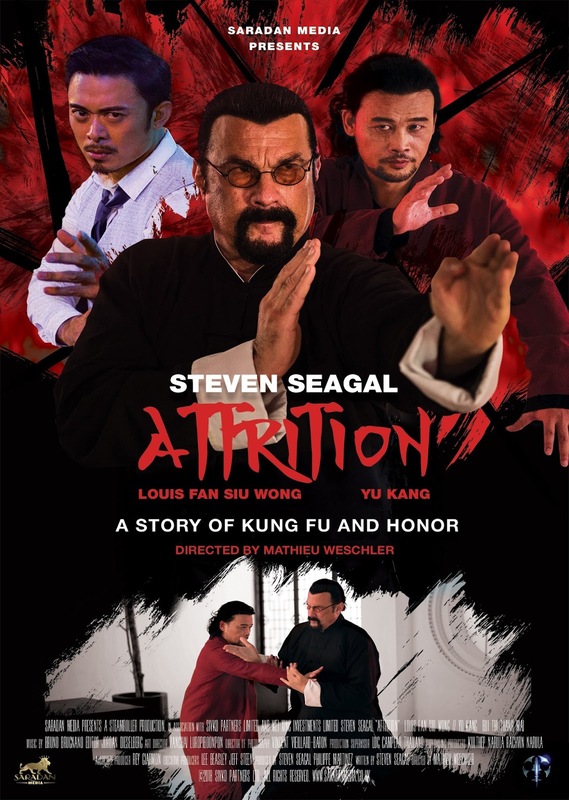 Axe (Steven Seagal) is an ex-special forces who has renounced his violent ways, found the light of Buddha and is now a healer at the border between Thailand and Laos, near a town where everybody speaks Mandarin and, supposedly, the scum of the earth can find safe haven – ‘supposedly’, because this is never really shown. But when a violent crime lord named Qmom (Yu Kang) kidnaps a girl with healing powers with the hope she will cure him of his strange disease (he’s allergic to sunlight), her father begs Axe to rescue her. He reluctantly agrees, and gets his old team back together: Chen Man (Fan Siu Wong), Infidel (Rudy Youngblood), Ying Ying (Kat Ingkarat) and a few others.